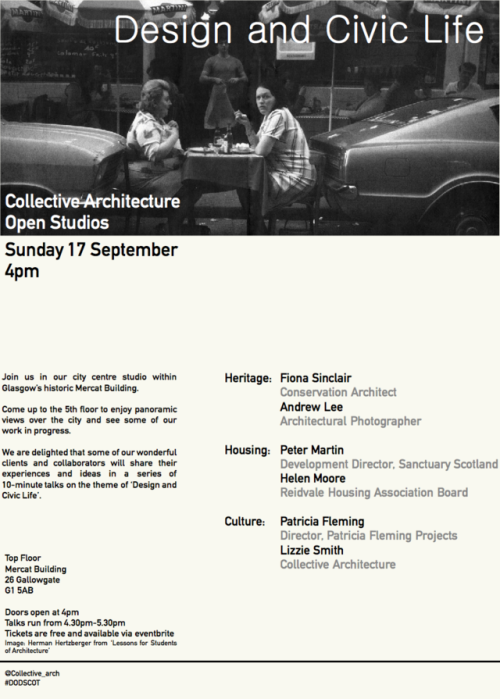 To celebrate our 10th Year as Collective Architecture, we’re delighted to be taking part in Glasgow Door’s Open Days Festival this year, a fantastic programme of events which runs from the 11th to 17th September. We’re opening our studio situated at the top floor of the Mercat Building from 4pm on Sunday 17th. We’ve also put together a suggested itinerary for the Sunday of events in the surrounding area. There are a variety of fascinating walks taking place in the East End. At 11am Dr Ronnie Scott is leading a tour of Glasgow’s City Centre Lanes, leaving from the Mercat Cross. the tour promises to discover some often overlooked aspects of the city centre.. Also at 11am, Glasgow Through The Ages III - The Enlightenment City, takes in the architecture of the Scottish Enlightenment. . You can also get a tour of the River Clyde bridges at 10am and 1pm or join the Bridgeton Heritage Trail at 2pm. As you’re heading along the Trongate don’t miss an opportunity to pop into the Britannia Panopticon Music Hall, open 11am - 5pm both Saturday and Sunday, as well as during the week. It’s the worlds oldest surviving music hall and where Stan Laurel made his debut in 1906! Then head down to Glasgow Green where you can see inside the West Boathouse and book a taster rowing session. If you’re in need of some lunchtime refreshment, Drygate brewery are hosting tours all day Sunday 17th, and serve a fantastic menu in addition to an extensive range of beers. Alternatively head along to 202 Gallowgate where the lovely Soul Food Sisters will show you how to make a variety of delicious dishes inspired by cuisines from around the world . On the way don’t miss the new Billy Connelly mural ‘Big Yin’ by Rachel McLean and Jim Lambie’s Gallowgate Park Album Pathway. 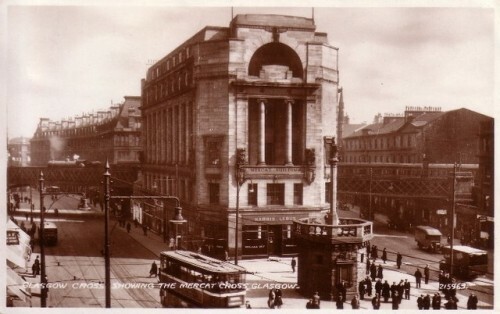 At 2pm Calton Heritage Trail led by Peter Mortimer takes in the architecture of Glasgow Cross, the Barras and the history of the weaving industry. 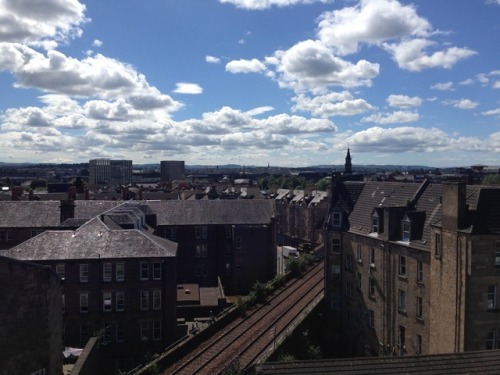 Starting outside the Mercat building, it finishes just in time to come along to our Open Studios event where you can admire panoramic views of the south of the city and hear a short series of talks on themes of Heritage, Housing and Culture. At 4:30pm we have a series of 10 minute talks from clients and collaborators, including Conservation Architect Fiona Sinclair and photographer Andrew Lee who will be discussing heritage. Followed by Peter Martin, Development Director of Sanctuary Scotland (responsible for the redevelopment of Victoria Hospital) and Helen Moore from Reidvale Housing Association Board. Patricia Fleming (Patricia Fleming Projects) and Lizzie Smith from Collective Architecture round off the event, talking about arts and culture projects, including the Trails and Tales arts trail for East Dumbartonshire council. The event is free, but ticketed as space is limited. Northlight heritage are hosting a series of events exploring the Future of Pollok Stables this month, including an event on Sunday 17th September 11-4pm which explores the challenges currently facing the buildings, from flooding to dry rot, and what they need to preserve them for future generations. These hands-on sessions are drop in - no need to book. The fabulous Glasgow Women’s library are leading a tour ‘Women of the East End’ on Saturday 16th September. Our friends at the Anderston Kelvingrove Church are open Saturday and Sunday, if you’ve ever wondered what’s inside the green pyramid go along and hear about it’s history and plans for the future of the building. Its just a short walk from Finneston and an opportunity to see our latest housing development under construction, due for completion 2018.